Because March is officially Women’s History Month, I want to take the opportunity to honor my grandmother, Olive May “Tootsie” Bailey Gasser. 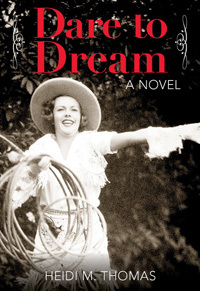 She was the inspiration for my novel, Cowgirl Dreams, and most likely contributed genes to my strong, independent spirit. 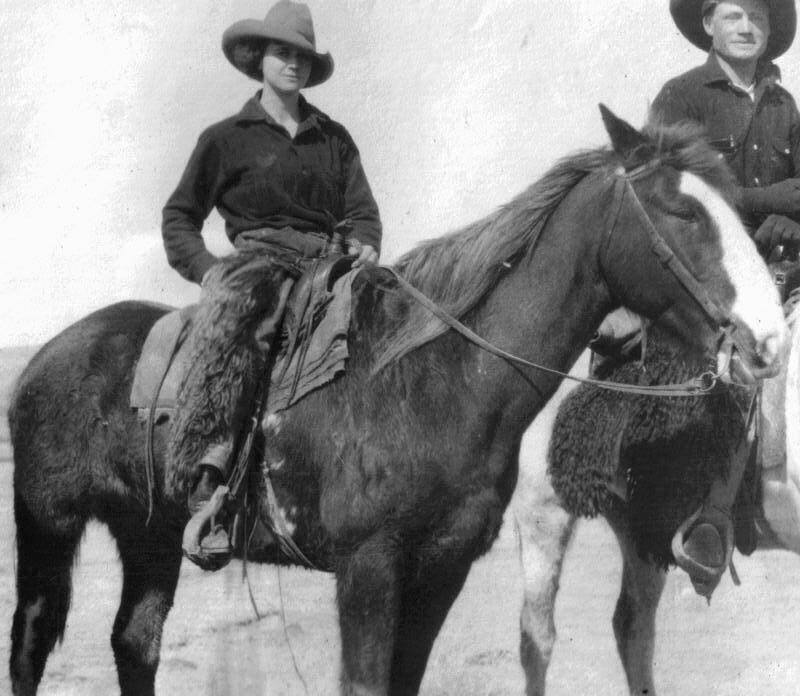 She was the consummate horsewoman and much preferred to be out riding than in the house pushing a dust mop. 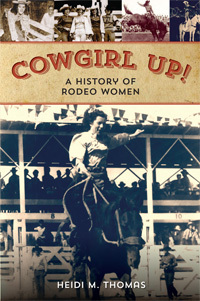 The thing about her that inspired the book was the fact that she rode steers in rodeos during the 1920s. I love knowing that about her! What a legacy our foremothers left us. Dallas Woodburn, 22, is the author of two collections of short stories and a forthcoming novel. She has written more than 80 articles for national publications including Family Circle, Writer’s Digest, CO-ED, Justine, and The Los Angeles Times, and she writes a regular column for Listen magazine. Dallas is the founder of the nonprofit organization “Write On! For Literacy” that has donated nearly 11,000 new books to disadvantaged children. Her latest endeavor is starting a publishing company, Write On! Books, that publishes the work of young writers. In addition, she hosts frequent writing contests, teaches writing camps for kids, and is coordinator of the Young Writers Program at the Santa Barbara Writers Conference. Dallas graduated this past May from the University of Southern California with a B.A. in Creative Writing and Entrepreneurship. 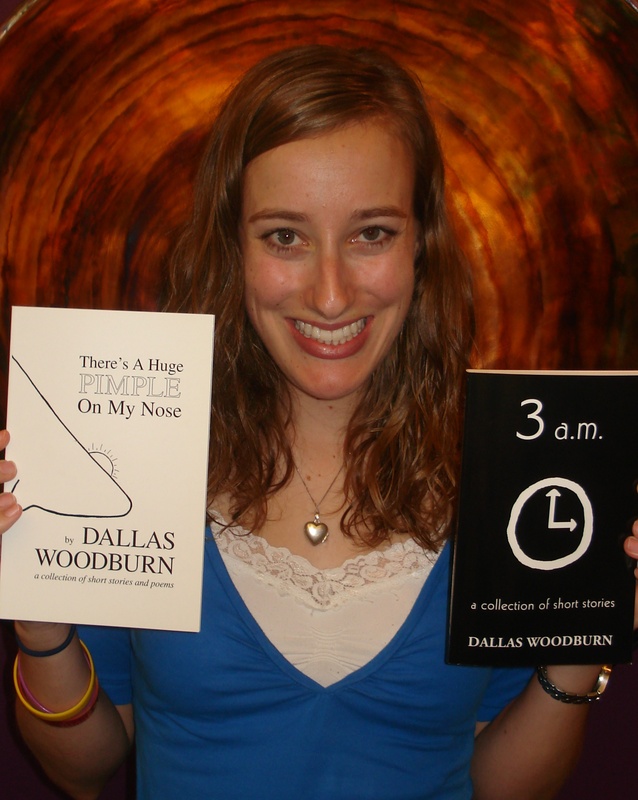 Contact her at her website www.writeonbooks.org or blog http://dallaswoodburn.blogspot.com. 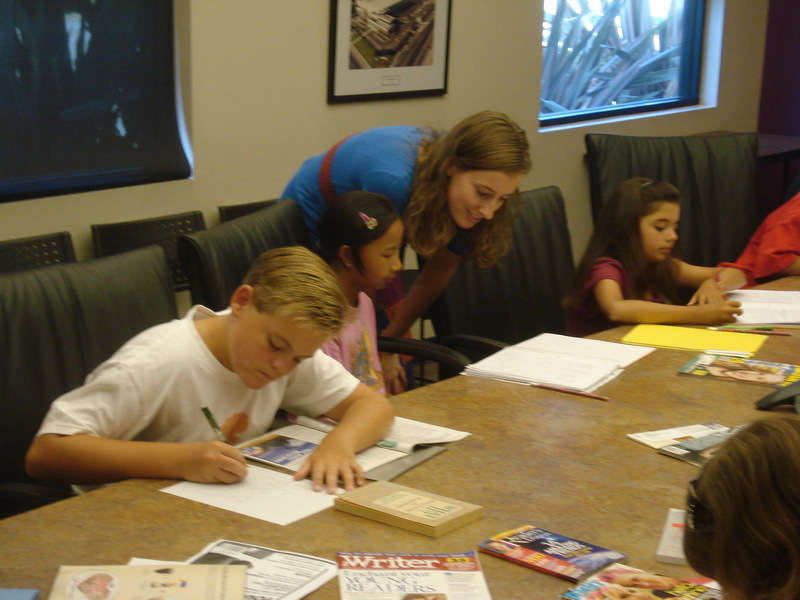 Calling all Young Writers: Write On! Books Wants to Publish Your Work! 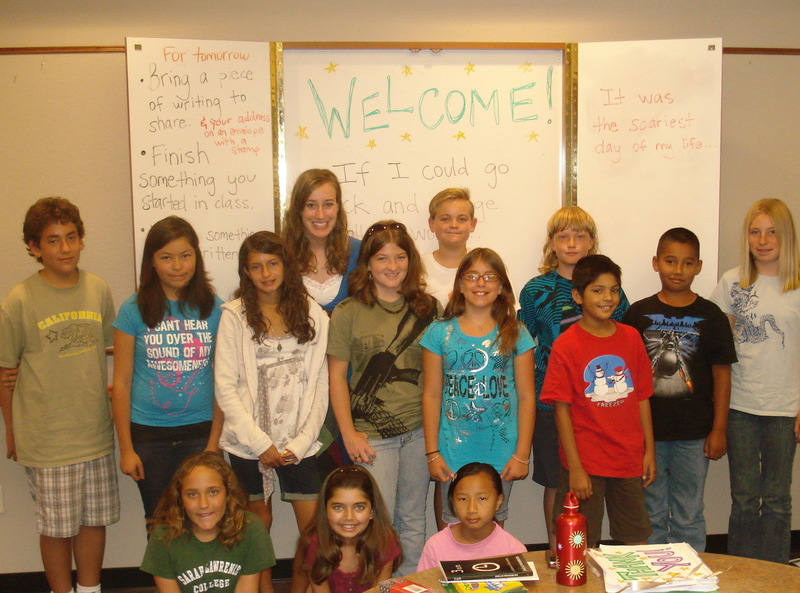 * Are you a young writer in elementary school, middle school or high school? * Have you written a short story, personal essay, or poem? * Do you want to be a published author? Write On! Books wants to read your writing! We publish anthologies of work entirely by young writers! Stories and essays should be less than eight double-spaced pages. Go to www.writeonbooks.org to submit today! You can also e-mail submissions to dallaswoodburn@aol.com. • I will help you edit your short story, essay or poem to make it the best it can be. • You will be a nationally published author! • You will have the opportunity to do book signings in your community. Don’t delay! The submission period for our first anthology ends March 23, 2010. 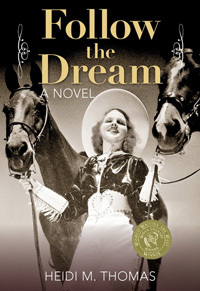 This is national “Read an e-book week,” and coincidentally I want to toot my horn a bit, for I’ve been notified I’ve won an EPIC award for Cowgirl Dreams. EPIC is the Electronically Published Internet Connection that supports and promotes e-books. The group formed in 1997, and now has about 700 members. 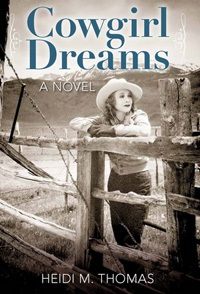 Cowgirl Dreams is published by Treble Heart Books as both a “hard copy” book and an e-book. This is an honor and a thrill. I wish my grandmother and my parents were here to see this! Electronic books can be read in several different forms. Some are published as a pdf file and you can read it on your computer screen or print it out. Others are formatted for the new e-readers, such as Kindle or Sony or iPhone. How many of you read e-books and in what form? My guest today is my good friend and fellow Women Writing the West member, Mary Trimble. Her third novel, Tenderfoot, has just been released by Treble Heart Books, and with a setting that revolves around the Mount St. Helen’s eruption, is a very timely story. 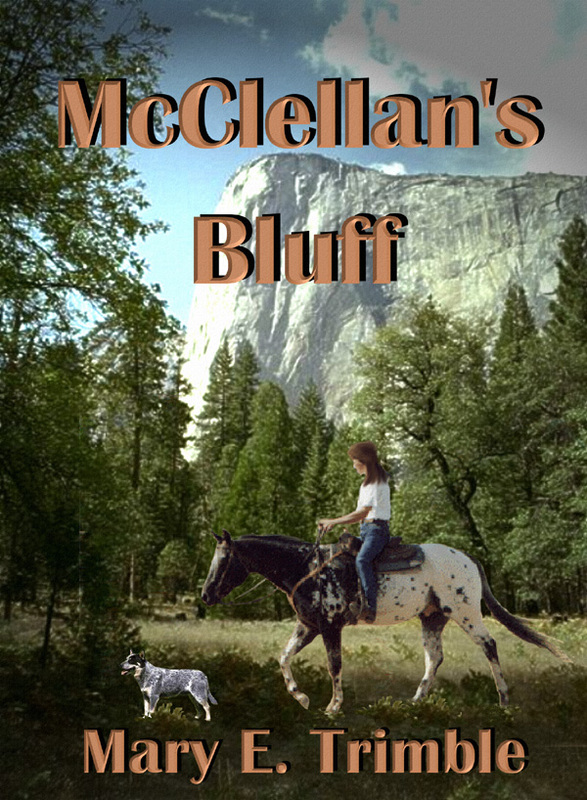 Mary is also author of two Young Adult novels, Rosemount and award-winning McClellan’s Bluff. Mary, what gave you the idea to write a story around this catastrophic event? When I spent time interviewing a rancher in eastern Washington, he talked a lot about the events and subsequent inconvenience of the eruption to his operation. I thought it interesting, but that wasn’t really why I was there, so I didn’t pay that much attention. Later, as I listened to those interview tapes, I realized what a gold mine I had and vowed I’d get back to that subject again. Thus, Tenderfoot. Why is the release of this book so timely? Pure coincidence. I tried to “sell” this book before, then rewrote much of it, before putting it on the market again. The timing just worked out to coincide with the 30th anniversary of the Mount St. Helens 1980 eruption. This is a bit of a departure from your other novels. You call it romantic suspense. Is it suitable for both adult and young adult audiences? It is suitable for both, but is categorized as adult. However, it is appropriate for young adults to read and, I think, of interest. I do have a teen in the story–I just can’t seem to get away from them! I know there is a story behind the cover photo for Tenderfoot. Would you share that with us? We were camping in eastern Oregon, driving along a back road near Steens Mountain, which is wide-open ranch country. You can drive for miles and miles and still be along side a single ranch. We saw a couple of cowboys rounding up and sorting cattle. We pulled up our truck/camper alongside and watched. A cowboy rode over to us and asked if we needed help and we said we just wanted to watch and take some pictures. “Have at it,” he said and he resumed his work. Later, when the publisher asked for cover ideas, my husband, Bruce, whipped out one of the pictures he’d taken and asked what I thought about it. 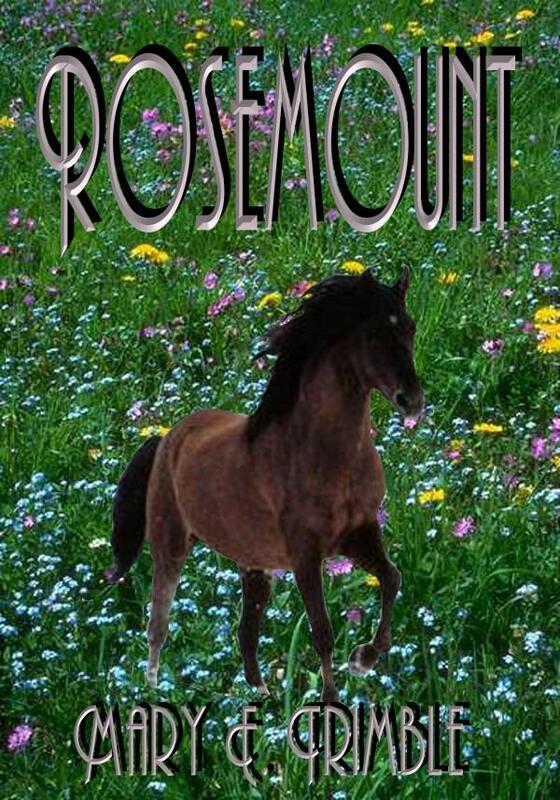 I loved it, but the cowboy on horseback was a “he” and my main character is a woman. “Oh,” he said, “I can fix that.” Through Photoshop, he gave the rider a pony tail and slimmed her down. Then, he overlaid a picture of pre-eruption Mount St. Helens in the distance. That’s a great story. It’s truly a family effort! When did you first begin writing? Did you start out with non-fiction or fiction? I first began writing non-fiction articles for magazines and newspapers. I did that for several years before I wrote my first book. How have you developed your skills–did you study writing or take classes? I have taken a few creative writing classes through the years, but once we moved to Camano Island, I joined an on-going writing class, which proved to be very helpful and in which I received a lot of encouragement. You’ve had numerous magazine articles published. Tell us where the ideas for these come from. Mostly from issues of interest to me. I’m a freelance writer and don’t really want to take assignments, though I’ve done that from time to time. Mostly, though, I don’t want to work with other people’s deadlines. I write an article, then sell it. I’ve had good success doing this. My early articles were about sailing, as we had just completed a 14-month sailing trip throughout the South Pacific, but then my writing evolved to RV-related articles and articles of interest to homeowners. Which genre is easier to write? I like writing both non-fiction and fiction. I would find it difficult to write sexually descriptive stories, but I enjoy writing fiction that can be enjoyed by adults and young adults. That’s the kind of reading I enjoy, too. What kind of books do you like to read and which authors would you say have influenced you? I think my hands-down favorite author is Lucy Maud Montgomery. Her heart-felt Anne of Green Gables is as fresh today as it was when she wrote it in 1908. 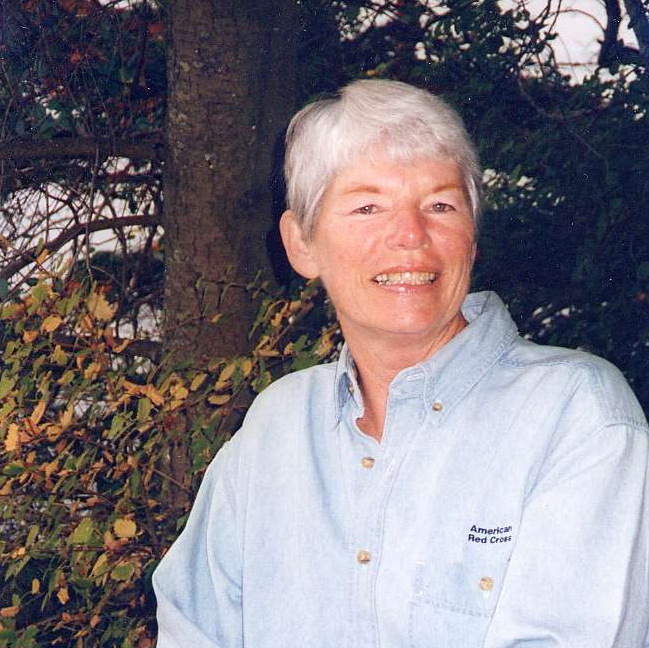 I love anything written by Jane Kirkpatrick–I think I’ve read all her books. Also, Larry McMurty is a favorite–especially Lonesome Dove. Are you an outliner or a “seat-of-the pants” writer? I’m an outliner, but I give myself permission to vary from the outline. I’m a structured person and an outline makes me feel “in control.” But I have learned to listen to other voices when they try to squeeze in. In Tenderfoot, the rancher, J, had no children at first, but this little teenage twerp, Gretchen, kept pestering me. Finally, I gave in and I think she added much to the story. What advice would you give someone just starting out in writing? Join, or form, a critique group. I don’t send anything out until my husband reads it first, and then my critique group. Be open to what they have to say. Listen to them–if they question what you’ve written, so will your readers. 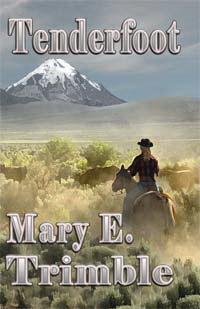 Tenderfoot is available from Mary’s website, through the publisher Treble Heart Books, from your favorite bookstore or on Amazon. 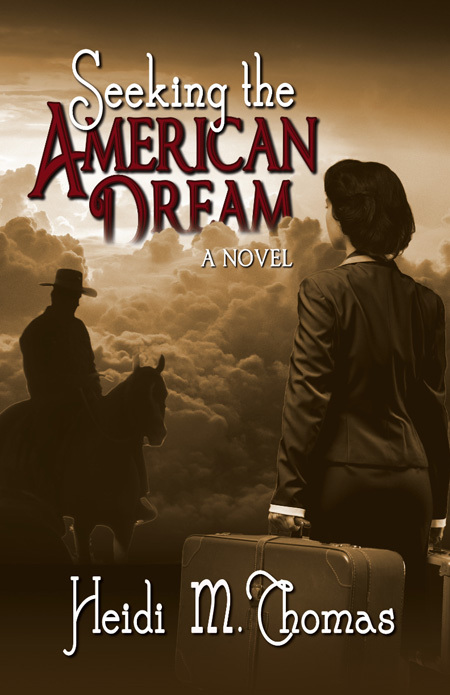 Other novels by Mary E. Trimble include Rosemount and McClellan’s Bluff, which both take place in Washington and Oregon and feature the same main character.